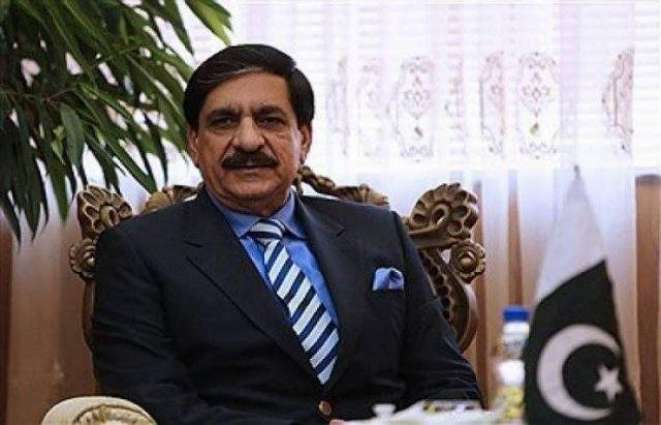 ISLAMABAD: National Security Adviser (NSA) Lt General (r) Nasser Khan Janjua chaired the second meeting of National Security Division’s (NSD) advisory board on Wednesday. Besides Iftikhar Hussain Babar, Secretary National Security Division, the meeting was attended by Ambassador (r) Riaz Hussain Khokhar, former foreign secretary Maj Gen (r) Khalid Amir Jaffri, CGSS Major General Muhammad Samrez Salik, ISSRA Director General Muhammad Sadiq, former NSD secretary and by the other senior members from National Security Division, Institute of Regional Studies (IRS) and Institute of Strategic Studies Islamabad (ISS), said a press release issued here. The NSA welcomed the participants and asked their input to chalk out a way forward to cater to security needs of the country. The secretary NSD highlighted the role and working of NSD and provided an account of different issues which came under discussion in National Security Committee meetings since the inaugural meeting of Advisory Board. Subsequently, the agenda points including Pakistan’s security and foreign policy options towards the US, India, Afghanistan and Central Asian Republics came under detailed discussion. The panel also deliberated on the Peace Offer made by President Ashraf Ghani to Taliban. The National Security Adviser appreciated the input given by the members and said the recommendations of the Advisory Board will be helpful in Pakistan’s different security and foreign policy initiatives.